Place the oil and 2 Tbsp lemon zest in a pan. Heat on medium and saute until lemon turns brown. Strain the oil, and repeat this step with the 2nd 2 Tbsp of lemon zest. Place lemon oil and beeswax into the top of a double boiler or into a bowl set into a saucepan of boiling water. Add essential oil, and pour in contents of Vitamin E tablet. Heat and stir until mixture is entirely melted. Strain into pocket-size containers and let cool. 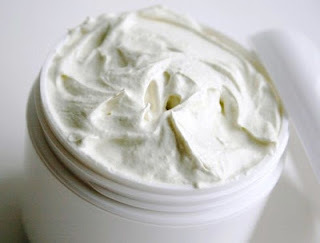 Formulate your own home-made deodorant! Adjust butter blends and other ingredient proportions to preferred scent and texture and to prevent dry skin. Store in your preferred container and keep cool on hot days. Essential oils (lavender, tea tree, etc.) - per drop, see Dilutions & Conversions charts. Bee's wax (melt first) – ~1 part bee's wax to 2 parts butter will help create a firmer stick-style deodorant. Slowly heat the oil until it liquefies, and then remove from heat. If using wax, melt first and mix in heated oil. Allow to cool overnight or until solid. Store in a jar, tin, or reused deodorant applicator. Tip: If this is an early attempt, let a small batch of the oil/beeswax base cool to get a sense of the texture before blending in additional ingredients. Alternatively, try a few small batches and container styles and see which one you like best. Mix together the baking soda, citric acid, and cornstarch, breaking up any lumps. Slowly add essential oils and mix. Give the mixture a spritz of water, and then stir. Continue stirring and adding water until the mixture resembles wet sand. Press into silicone molds, and let set until dry. This can take up to eight hours. Place all ingredients into a glass bowl. Mix with a wire whisk for 10 minutes or until whipped into a light, airy consistency. An alternative option is to whip the mixture in your food processor. Spoon the body butter into a glass jar and cover tightly. Store in a cool, dark place (in your cupboard should suffice). Apply by massaging body butter into your skin after you have toweled off from your bath or shower. Put your bentonite clay in a bowl. Heat the water on the stove and then stir in the coconut oil till it is melted. With a hand mixer, mix on medium speed the bentonite clay and the water/oil mixture till blended through. Add the salt, stevia, and essential oils and continue to blend until it is completely blended. Keep in a covered jar!